Coming back with a proliferation of warm and cool images was unexpected. Instead, I expected a routine contrast between technology and nature. 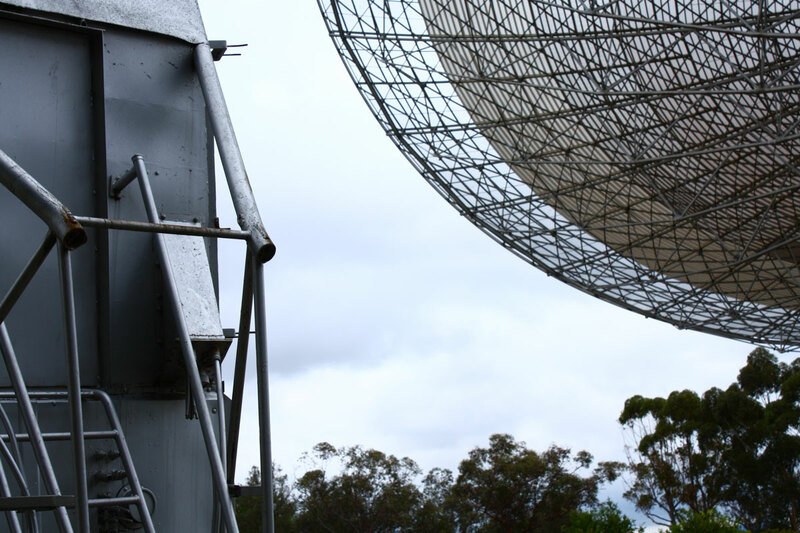 All telescopes have a relationship with the environment in which they sit, be it hilltop, desert or, in the case of the CSIRO Radio Telescope at Parkes, a sheep paddock. I suppose technology often lends itself to cool tones. However, I think on this day the issue was the weather. The day was cold. The wind was even colder when compared with the warmth generated by my car’s heater. Perhaps that’s why I was drawn to the warm colours. 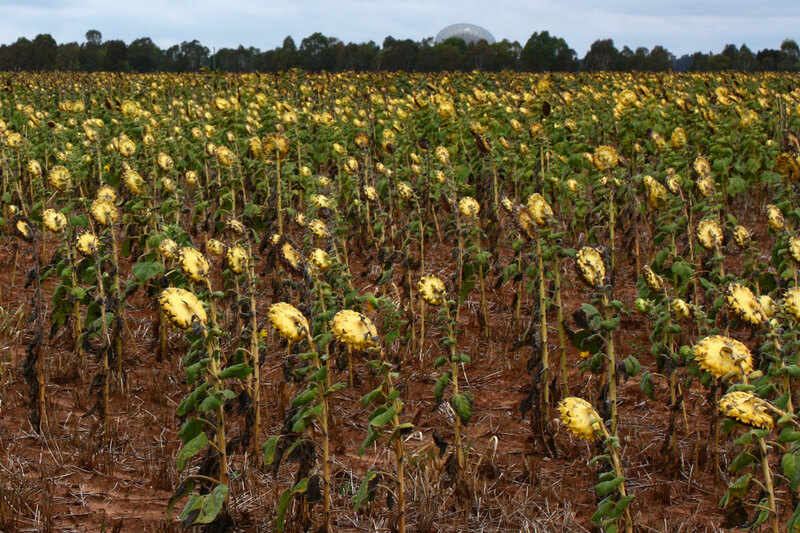 On the road to the telescope, the spent sunflowers even bow their heads against the cold. 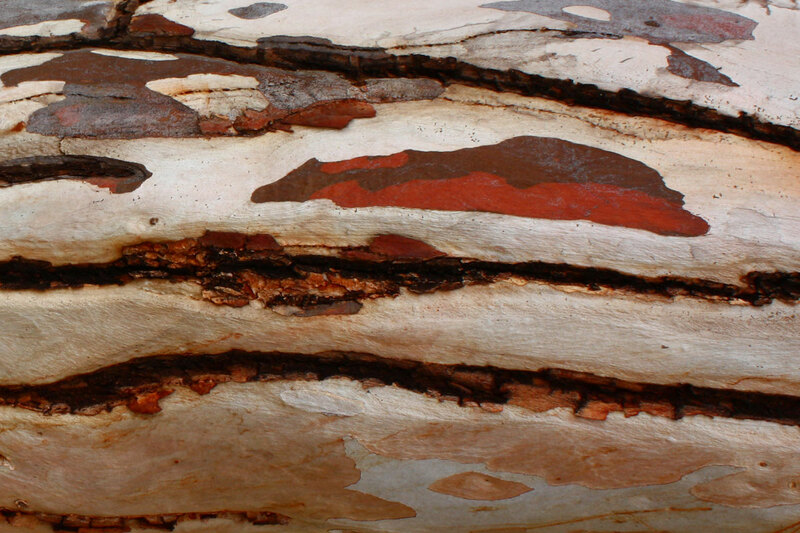 In the carpark, I’m drawn again to the textures and colours of a eucalypt tree. 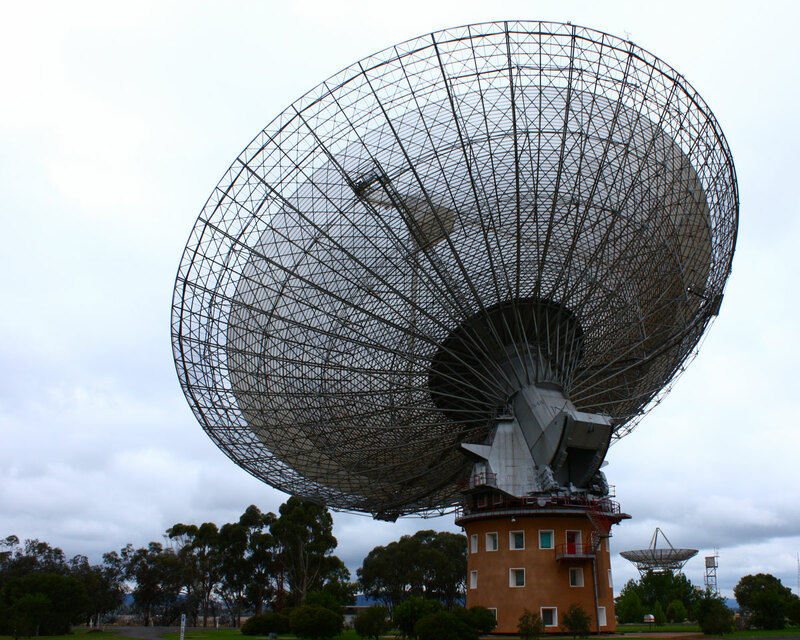 A traditional image of the CSIRO Radio Telescope near Parkes NSW. A not-so-traditional image. 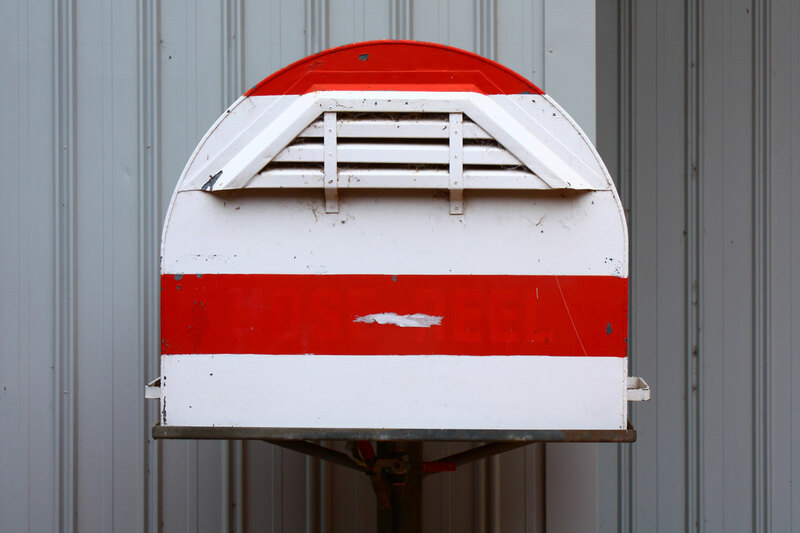 The old receiver module has been placed near the perimeter of the visitor’s centre. I like the contrast between the lacework of the dish and the chunky pragmatics of the bits and bobs on the module. I don’t know what this is but, like anything that day with a bit of warmth, it attracted my attention. It sits just outside the visitor’s centre. Jumping in an out of a warm car to take photos, when the wind is bitter and unwelcoming, is not recommended. Mum suggested we drive a bit further to the Peak Hill gold mine, but I was already feeling like this was a mistake. This field trip was a spur of the moment decision and I did not think it through, did not dress appropriately. Now I’m trying to deal with the re-emergence of a chest cold.